With global volumes of IoT connected devices set to rise from 7.5 billion in 2017 to 22 billion in 2025, according to GSMA Intelligence, it’s clear huge numbers of IoT devices need to get connected in the coming years. It’s equally clear that traditional connectivity deployment will be too slow, too expensive and too inflexible for many IoT applications. At the dawn of the Internet of Things, it was routinely projected that IoT would be a market of billions of devices. In fact, most predicted there would be tens of billions of connections live by the dawn of next decade. Back in 2011, Ericsson’s then-CEO Hans Vestberg estimated that there would be 50 billion connected devices by 2020. 1NCE, the provider of the world’s first IoT flat rate (powered by Deutsche Telekom), announced plans to expand the global footprint of its IoT connectivity solution. As of now, customers will be able to use temporary 2G/3G roaming (for non-permanent applications) in China. (Sponsored) Realising the potential of the Internet of Things and the often-quoted promise of 50 billion connected devices by 2020, relies on the very tangible challenge of enabling affordable connectivity to low-bandwidth use cases. [Sponsored] Focusing on the low bandwidth area of IoT, 1NCE have brought to market a SIM card that offers multimode connectivity. 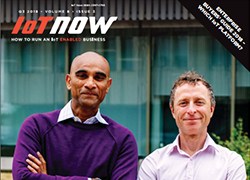 Their ground-breaking connectivity platform aggregates LPWA and Narrowband technologies and traditional technologies, such as 2G and 3G with the ability to connect to all of them on one SIM card. 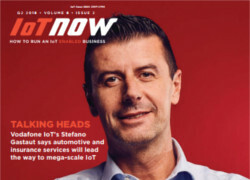 The market for IoT connectivity worldwide continues to evolve rapidly – if anything, at a faster pace during 2018 than in 2017. New providers, such as Twilio and 1NCE, are entering the market says Tom Rebbeck, research director at Analysys Mason. 1NCE, reportedly the first Tier 1 IoT (Internet of Things) carrier providing an IoT connectivity Flatrate (powered by Deutsche Telekom), has started operations in the emerging IoT markets of Russia, Belarus and the Ukraine.